AMICE held its fourth Congress Business - the mutual way in Nice, France, from 4 to 6 June 2014. 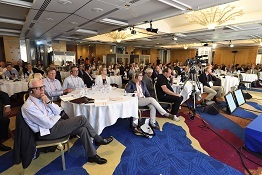 Hosted by AMICE’s French association members, GEMA, FNMF and ROAM, this event attracted around 200 delegates from the mutual and cooperative insurance sector in Europe as well as further afield. The full programme with speaker profiles is available as a pdf download (FR). Session II: Social security - the mutual sector for better value to society? Session III: The mutualist model - the future of free entreprise? Session IV: Reliable data for customer-focussed solutions?